I just received a wonderful phone call from my publisher! 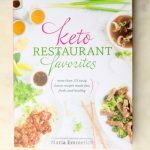 He called to tell me that Costco put an order in for my Keto Restaurant Favorites cookbook! They said my books sell so well that they wanted to make a large order! The order was twice the amount of the highest order they have EVER made! I am so grateful for all of you! YOU are the ones who make this all possible! 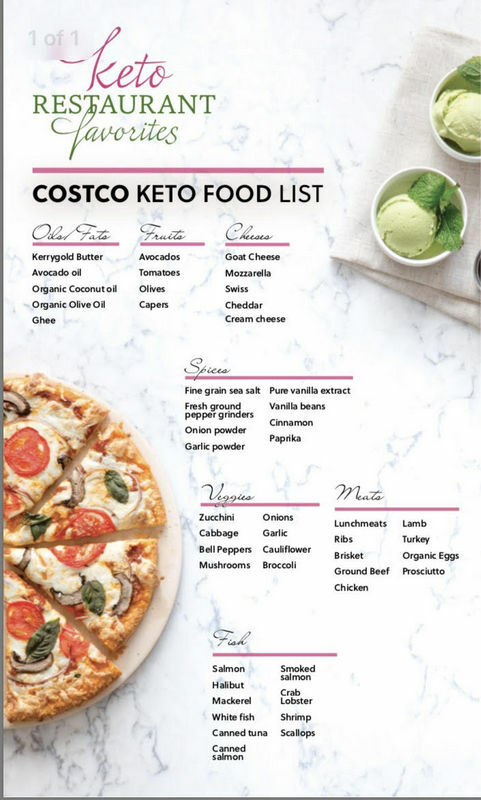 If you are on your way to Costco and want a shopping list for all the things you can gather to make all the yummy recipes from Keto Restaurant Favorites cookbook I made a helpful shopping list for you! “Hi Maria! I am so honored to have the opportunity to contact you, and I hope my message finds you in good health and spirits! The ketogenic lifestyle is such a huge passion of mine- it has transformed my health and life as well as that of my family. I owe my life to this lifestyle. I had always been overweight, exhausted, and sick, even as a child. I tried literally everything to change my health and body but nothing ever seemed to work. 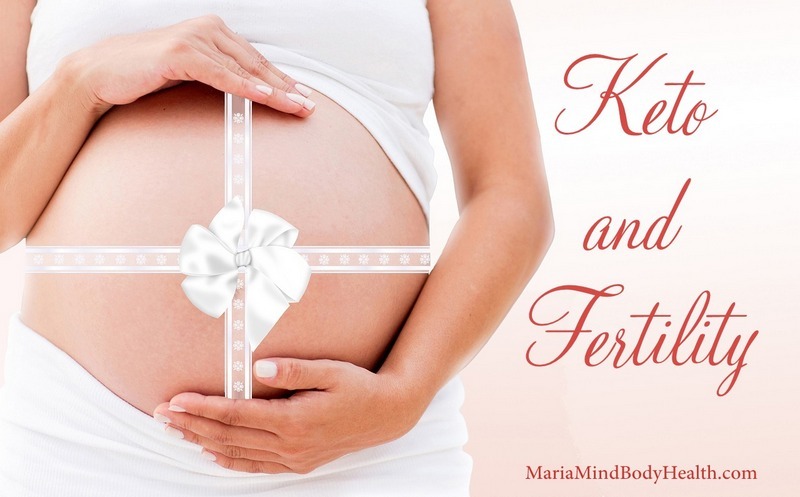 I was depressed, had thyroid issues, and eventually developed fertility problems, making it nearly impossible for my husband and I to have the children that we so desperately wanted. Fast forward to several years of following the keto lifestyle and my weight is under control for the first time in my life, I am joyful, energetic, and healthy. And, best of all, at the age of 30, the most recent “side effect” is that we are due with our first child in October! Something I thought I would never get to experience! I’m getting a bit emotional writing this, but it has been the most magical health transformation I could have imagined. I literally owe every blessing in my life to the fact that I was fortunate enough to discover the keto diet, and I feel like it is my life purpose to help others discover how to turn their lives around in the amazing way that I was able to. My only hope is that I can learn from those who went before me and paved the way with their passion for the same values as myself. I see what an impact you have made and continue to make in the lives and health of others, and it is such a beautiful thing that it moves me to tears. All I want in life is to leave a positive impact like that on the lives of my fellow humankind, and if there is any advice you have to help me do that, I would be appreciative beyond what words could express. Is it okay to do Keto diet without 30 day cleanse? I had inflammation in my body which is going down even though I am eating dairy. It has taken several months though. I have a gut. I went from 175 to 164. The 30 day cleanse has very time consuming recipes. I can do some of them but certainly not all of them. Also, you have some ingredients that are way too expensive for me. Just trying to be honest. I have three of your cookbooks and I love them. 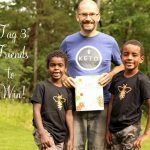 Thanks for your hard work in helping others with their Keto diets! We don’t have Costco around here, but we do have Sam’s Club, which is close. I have Chef’s store, and they have a Kerrygold (European style) butter that is the bomb! Smells fantastic. They also have 40% heavy cream with out sugar in it, 3 lb cream cheese blocks, all for fantastic prices. Sam’s Club is where I get my almond flour, they have Bob Red Mill 3lb package for under 13 bucks. The health food store sells it for 6.99 a lb, and Walmart sells it for 9.99 a lb. I grew zucchini this year, and have been freezing shreds and blanched slices every time I get 2 or 3 zucchinis, I don’t have to buy it. I’m growing pumpkin, too, although I’ve only gotten 2 pumpkins so far, I have a long enough growing season that I think I can replant and see what happens. I’ve bought both books cosco’s has and I have thoroughly enjoyed them..I’m a firm believer of something good will come out of something bad. I get the impression that when your husband Craig lost his job (bad) started you on the road to what you have accomplished so far (good) and I am sure so many of us have benefited so much from the wonderful books you have produced. Thank you soooo much!! My boyfriend bought me your new book from Costco last weekend. He’s just starting keto with me and really wants me to make your churro recipe hahaha. Love the book though! Incredibly informative. 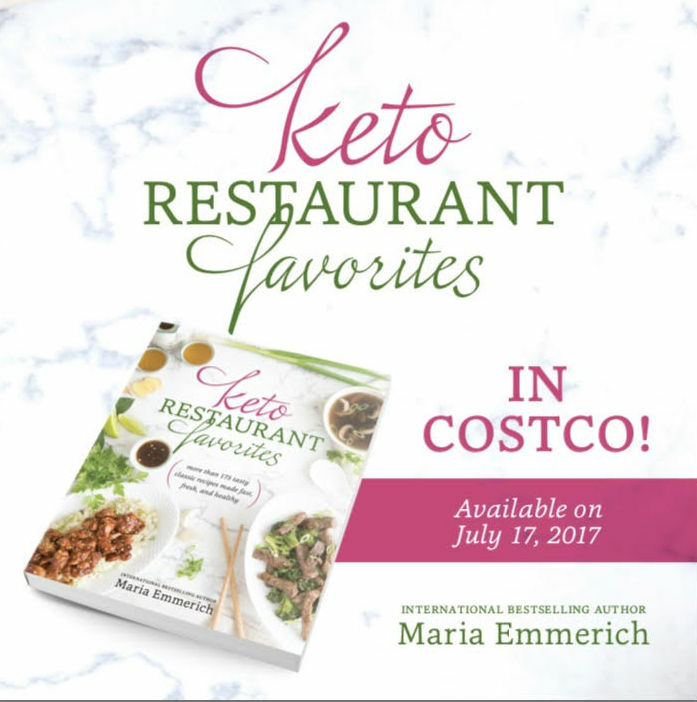 I was walking through Costco with your cookbook in my hands to make sure I was getting the right things for my new KetoDiet, and when I was checking out, they were going to ring up the book thinking it was one of the ones from their stacks! Luckily it was the comfort foods not restaurant faves. 🙂 I was excited when I saw your books among all the other cookbooks and what not. Congratulation’s!! 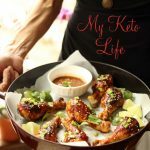 Thanks again for all of the wonderful recipes and all of the additional information and insight you’ve graciously shared about the Ketogenic lifestyle. P.S. Your boys are adorable! God’s blessing to of you and your family. Hi Maria! I recently made your tiramisu cheesecake and have a few questions. Did I use too much coffee (1 cup) on the cake? It was not absorbing into the cake and starting draining out of the pan. . The cheesecake overflowed the 8″ pan, should I have used a larger springform pan? My cheesecake filling was white not brown like yours. I did sprinkle the cocoa powder on top. Not sure why?